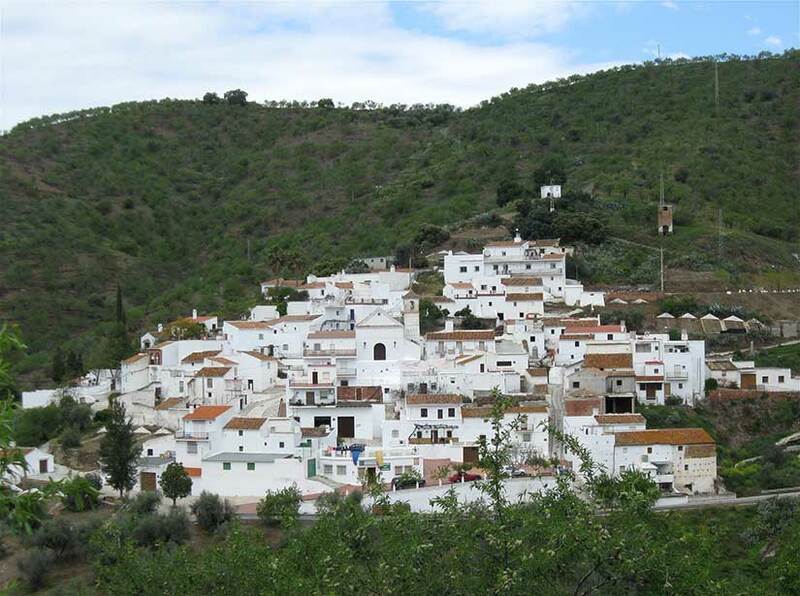 A small village located at the heart of the Axarquia mountains among olives, almond trees and vines. Of Arabic origin, the village grew around Bentomiz Caslte, remains of which are still visible, and its architecture is typical, consisting of steep streets of white, stepped houses, dominated by the Mudejar church of St. Catherine. It was formerly known as Arenas del Rey, as, according to local tradition, King Ferdinand the Catholic set up camp here to prepare for the siege and conquest of Velez-Malaga. The village, which still conserves part of its original Arabic design, is known as El Arenal (The Sands), as the fine sands carried by the River Seco were extracted from the area. Located north of the hill on which Bentomiz Castle stands, the area’s first human inhabitants must have settled in this natural watchtower, 709 metres high, which overlooks a large area of the Axarquia region and, to the south, the coast. This fortress village was initially an Iberian settlement. The Phoenicians and Greeks also left their mark here. It was subsequently a Carthaginian military site and, after the Punic Wars, a Roman village. The Arabs rebuilt and extended the castle, turning it into a magnificent fortress. The importance of this defensive bastion was evidenced by a long chain of historic events, the most significant of which was probably its role in the conquest of Velez by Christian troops on April 1487, when El Gibs, governor of Bentomiz Castle, joined the army of the Catholic Monarchs against the besieged town of Velez, making it impossible for the reinforcements sent by the Nazari kingdom of Granada to participate in its defence.. However, after the conquest, the lives of the moriscos (Moslem converts to Christianity) who stayed on in the area became ever harder, eventually inciting them to rebel in 1569, an uprising which soon spread to the rest of the Axarquia region, where the morisco community were also discontented. After the rebellion was crushed, the defeated moriscos suffered a variety of fates: some were condemned to death, others imprisoned and the rest expelled from the lands on which they had lived for centuries. By the end of the 16th century, the area which now lies within the boundaries of Arenas was semi-abandoned; little by little, it was resettled by Old Christians. The 19th century saw another military confrontation which once again proved the strategic importance of this location. When the Napoleonic invasion and subsequent discontentment of the local population triggered the War of Independence, French troops stationed in Arenas were decimated in March 1812 by a guerrilla unit led by the priest of Riogordo, an attack which seriously undermined French military power. The village and its municipal area were affected by the major tremor known as the Andalusian Earthquake on Christmas Eve 1884; extensive material damage was suffered.